A child’s birthday will be forever remembered with the Lucky Module House Slide Combo! An enclosed entrance helps keep track of how many children are inside the bouncy castle and a see-through mesh aids in safety as well! 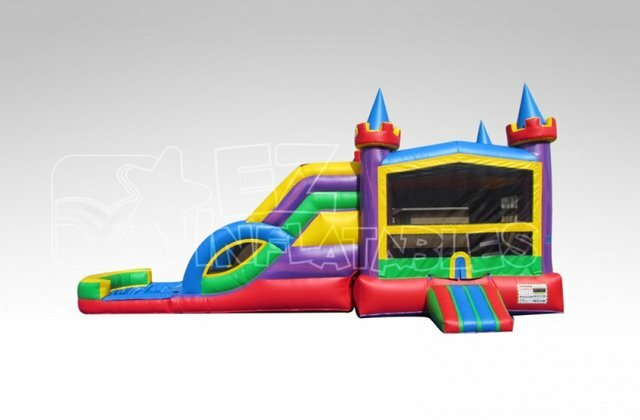 For a little extra fun, there is an attached basketball hoop enclosed inside this enormous castle, so your tykes can jump and play hoops to their heart’s content like royalty. And if that’s not enough fun, your prince or princess can even enjoy the Lucky Module Combo with water for some slip-n-slide action! Reserve yours today!